Bedford League's Revolution TTC produced two champions at the Eastern Masters tournament held at Norwich on 11-12 November 2018. Current England No. 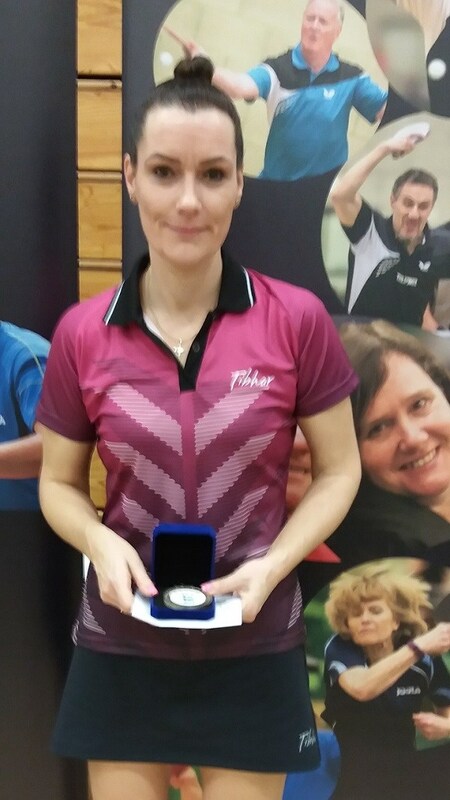 1 veteran lady, Sara Williams, defeated the England No. 2 veteran lady, Sue Collier from Cheshire 18-16, 11-5, 12-10 in the final. Whilst, former Bedford Modern pupil, Andy Trott, on his debut in the Over 50's event defeated Darren Griffin in the final 15-13, 7-11, 11-4, 11-8. Andy has this month become England No. 1 in the Over 50's category. Revolution's, John Alsop, partnering the current England Over 60's No. 1, Phil Cawser from Yorkshire, and No.1 seeds, were surprisingly knocked out in the semi-finals by Sussex's Phil Smith and Steve Davis 9-11, 8-11, 8-11.